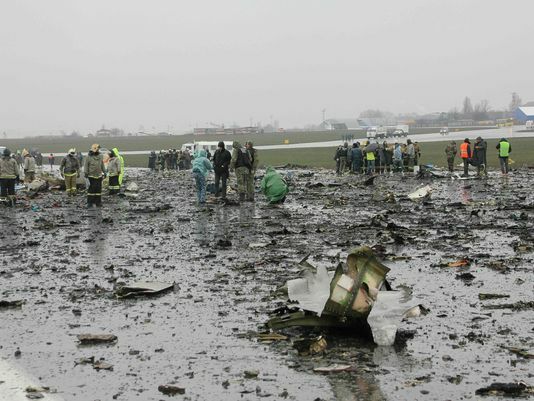 After circling a southern Russian airport for more than two hours because of high ground level winds and poor visibility, a passenger jet from the United Arab Emirates crash during a landing attempts, killing all 62 people aboard. 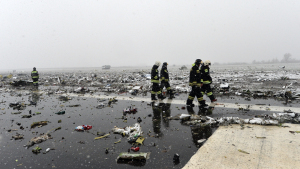 The Boeing 737 took off from Dubai and was scheduled to land at the Rostov-on-Don airport at 1:20 AM Saturday. But it didn’t come down – about 800 feet from the runway – until 3:50 AM. By that point, Russian state media reported, there were winds of about 60 mph. Authorities have ruled out terrorism as a cause of the crash. 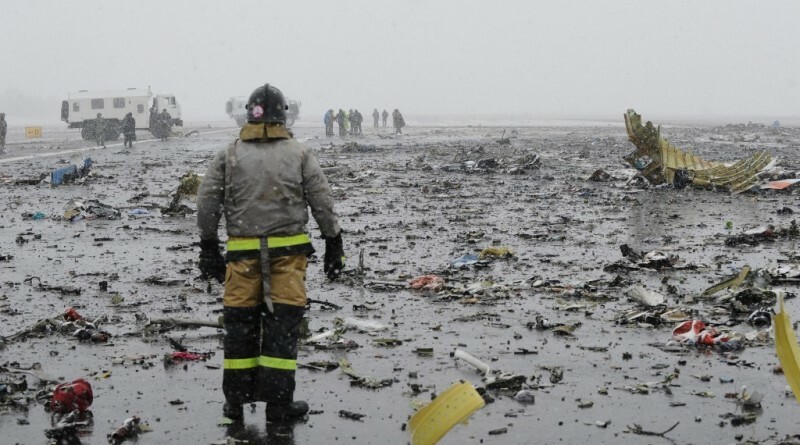 Instead, according to investigative committee spokeswoman Okasana Kovrizhnaya, they will be looking at three possibilities: technical issues, severe weather and human error. Kovrizhnaya Said the investigations will take at least two months, as required by Russian law, but “could be prolonged,” according to state run Sputnik news.